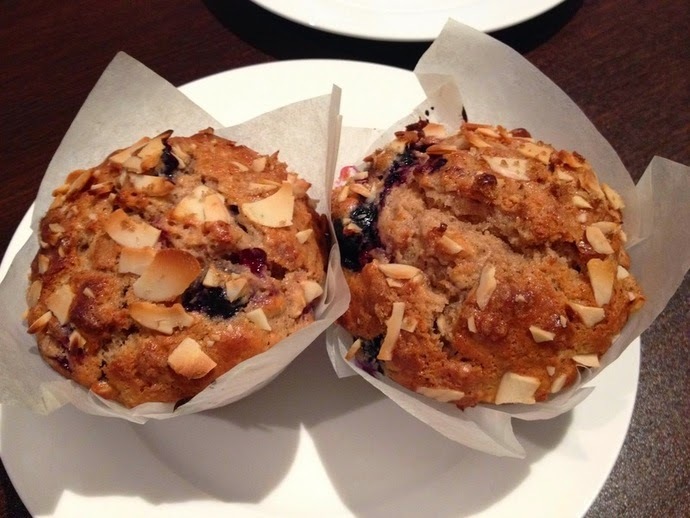 I've been looking for a crunchy top mixed berry muffins recipe so after having had a few attempts and I'm onto a winner. Don't forget the baking powder or else you end up with hard little rocks from experience. 1. Preheat oven to 180° and line a 12 hole muffin tin. 2. Place plain and wholemeal flours, baking powder, cinnamon, oats,1/2 cup of brown sugar into a large bowl and stir together. 3. Make a well in the centre and add the eggs, yoghurt, oil. 4. Whisk the eggs, yoghurt and oil for a couple of seconds in the well that you have created before adding the dry ingredients and stir until just combined. 5. Fold through mixed berries, don’t overmix or else your muffins will end up tough. 6. Spoon into muffin tin. 7. To make crumble topping Mix flaked almonds with brown sugar and sprinkle over muffins. 8. Bake for 20-25 minutes until golden.